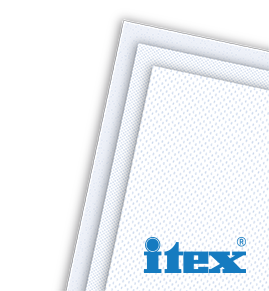 The itex® brand provides efficient solutions for the industrial sector in particular in the form of versatile and re-usable wipes which increase cleaning and wiping efficiency, thus minimising cleaning times and reducing waste. With its itex® range of wipes, Hübenthal has created robust, highly absorbent and re-usable wipes which can be used for a variety of applications, from absorbing liquids to cleaning hands and machines. These wipes are durable when both wet and dry, and are solvent-resistant. itex® specialist wipes are perfect for specialised areas of application, as they are particularly low-linting and abrasion-resistant. Get in touch with us. We are happy to provide your company with a comprehensive solution, including dispenser systems, and show you in which areas you can save costs by selecting the right wipe. OUR ALL-ROUND AND SPECIALIST WIPES FOR THE INDUSTRIAL SECTOR CAN BE FOUND HERE. PRIVATE LABEL? WE OFFER YOU CUSTOMISED PRODUCT DESIGNS AND PACKAGING, EVEN ON SMALL-SCALE ORDERS. Write to us and tell us for which sector or task you need a cleaning or hygiene wipe. LOOKING FOR THE RIGHT WIPE TO MATCH YOUR EXACT APPLICATION? Select the relevant product specifications from our product filter.